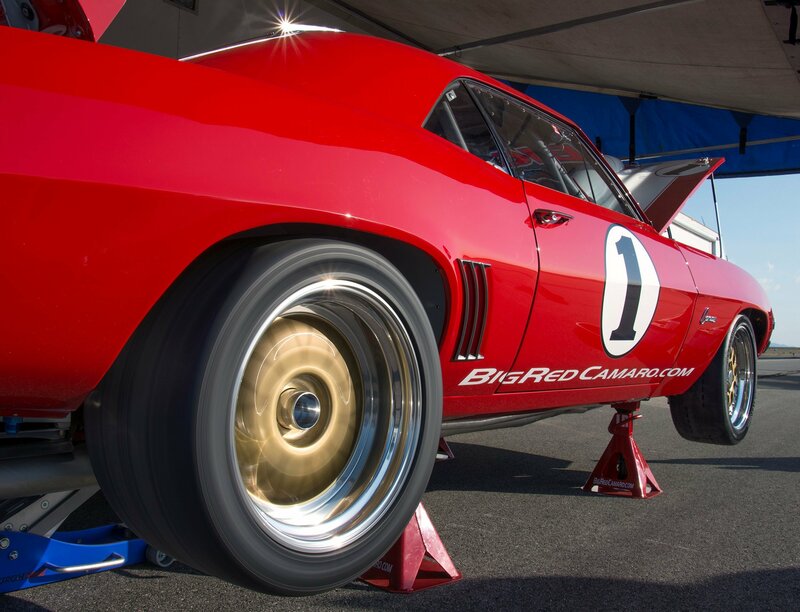 RJ Gottlieb's versatile "Big Red Camaro" is like no other car in motorsports. 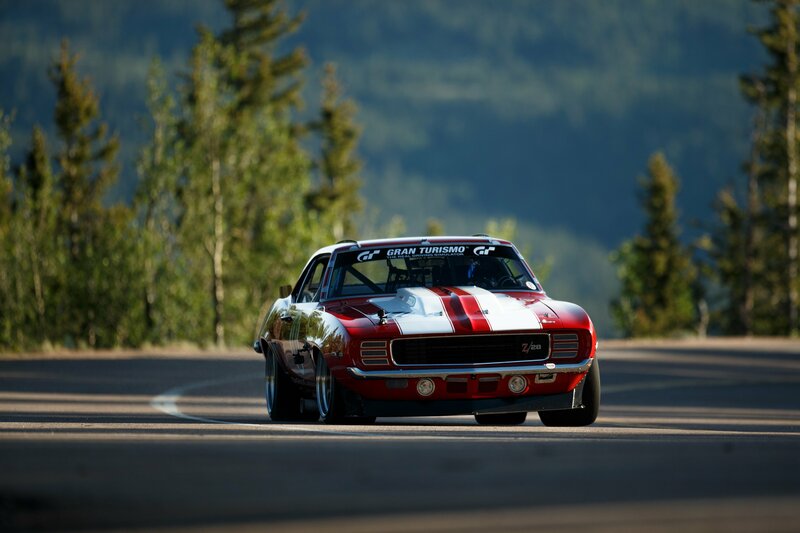 The La Carrera race in Mexico, the Silver State race in Nevada, the world famous Salt Flats of Bonneville, the treacherous Pikes Peak Hill Climb in the Rocky Mountains, or the flat-out speed of the Mojave Mile – Gottlieb's '69 Camaro is competitive wherever it goes. "The car wasn't built for one particular thing, and that's allowed us to do all kinds of things," says Gottlieb, 47, who's been driving his ultimate hot rod since he was a teenager. "Name another race car that runs this number of races and this many different kinds of races. It was built for La Carrera road race, but once we beat all the exotic European cars, they banned us – that's why we started calling it an 'outlaw car' in the first place." 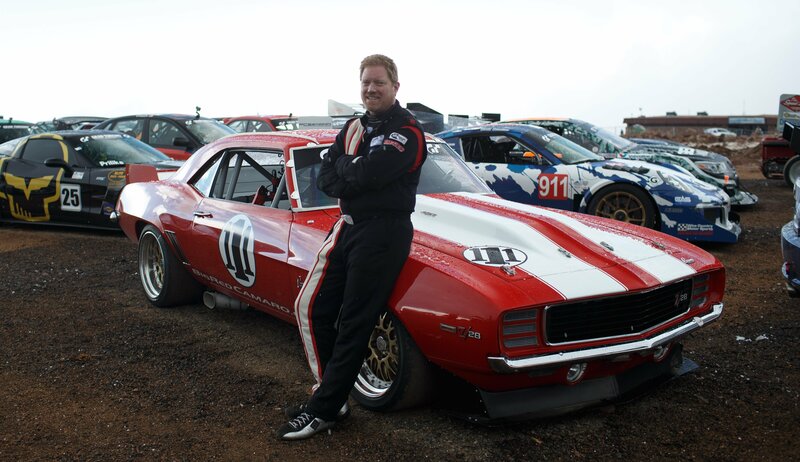 The Big Red Camaro's first success came 30 years ago at the prestigious La Carrera event, where young Gottlieb took the race by storm and a following was born. "The car really seemed to capture the public's imagination," he said. "One of the first articles about it in Hot Rod magazine mentioned something about this big red Camaro, and my dad [Dan] said, 'That's it – that's what we should call it.' After that, it just became known as 'Big Red.' Calling the car 'Big Red,' me going by 'RJ' instead of Richard – that was all my dad. He's more outrageous than me; he's the one who got all that going. I was just a kid." At first, the car was just a way for father and son to spend time together on a mutual interest. "My dad always loved cars, and as I got to driving age he wanted the two of us to do something with cars," said Gottlieb, who competed briefly at the highest level of NHRA drag racing as a teenaged Pro Stock driver in the late 1980s. "We were both fascinated by these sleeper cars, Impalas and stuff like that that purposely didn't look too racy but actually had big-blocks that could blow away the fancy exotic cars. We played it off as a stock, metal-body street Camaro. The thing had an aluminum Donovan block in it, and my dad had them paint it GM orange to fool everybody. This has always been a passion for my father and me – that'll never change." What has changed is just about everything from one bumper to the other. The first iteration was an almost stock Camaro with a roll cage. A heim joint in the steering broke and led to a crash, but, undaunted, the Gottliebs came back bigger and better than ever, retaining just the engine, transmission, and rear end. The new car, on which the powerful beast of today is based, featured a full tube chassis built by Bill Osborne that was not unlike the NASCAR stock cars of the day. Everything has grown infinitely more sophisticated over the past three decades, including the fuel system, but one thing that hasn't is the Gottliebs' brand of choice: Holley. "When I was a kid, Holley was always the name in carburetors, and now it's the name for EFI," Gottlieb said. "We've always had the same philosophy: run a big, normally aspirated engine. Like they say, there's no replacement for displacement. 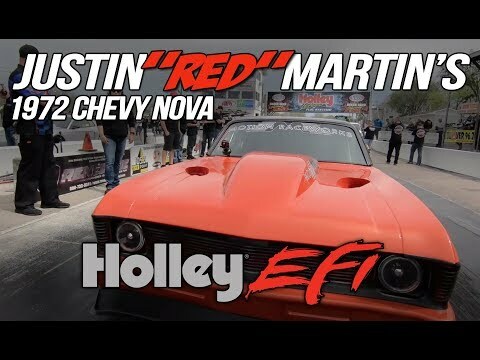 [Big Red crew chief Tim Fleenor] put a Holley EFI system on the car, and the whole thing has just worked right from the beginning. It's sophisticated but it's easy to use, and it gives the car exactly what it needs at all times." "Holley's always been on our radar," said Fleenor, who finished a complete restoration of the legendary machine in 2015. "Holley EFI is effortless. It's plug and play. 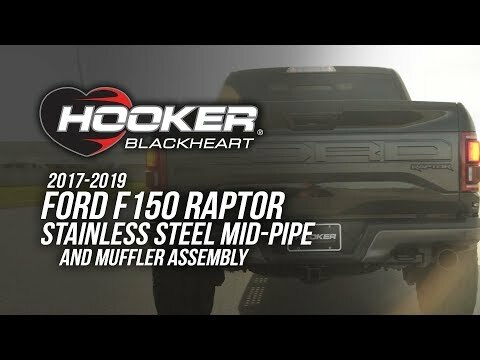 I'd always been a carb guy and always loved Holley 4-barrels, but this Holley EFI is unbelievable. It worked flawlessly, right from the beginning. We were at Pikes Peak for a month, made every practice session, and there were just no tuning issues at all. We really didn't have to think about it. We added like two degrees of timing because when the car's at 11,000 feet of altitude and you just run out of air, that's exactly what it needs. It was amazing." The team has four different Larry Mollicone-built engines for the car, all 555 cubic inches – two normally aspirated high-compression powerplants and two with lower compression and a ProCharger. For Pikes Peaks, the team ran one of the naturally aspirated engines with Holley EFI. For standing mile and mile-and-a-half courses, it's the ProCharger with Holley EFI. Next on the horizon is Mojave, where in September Gottlieb and crew will try to top the 253-mph mark they established last year. "We got all kinds of things planned for that," Fleenor said. "We're looking for 260 mph, maybe even 265." "Pikes Peak is challenging, but it's fun," Gottlieb said. "And there's nothing like going more than 250 mph at Mojave. We love it all. We're always trying to go faster, try something different, and find new challenges to overcome."